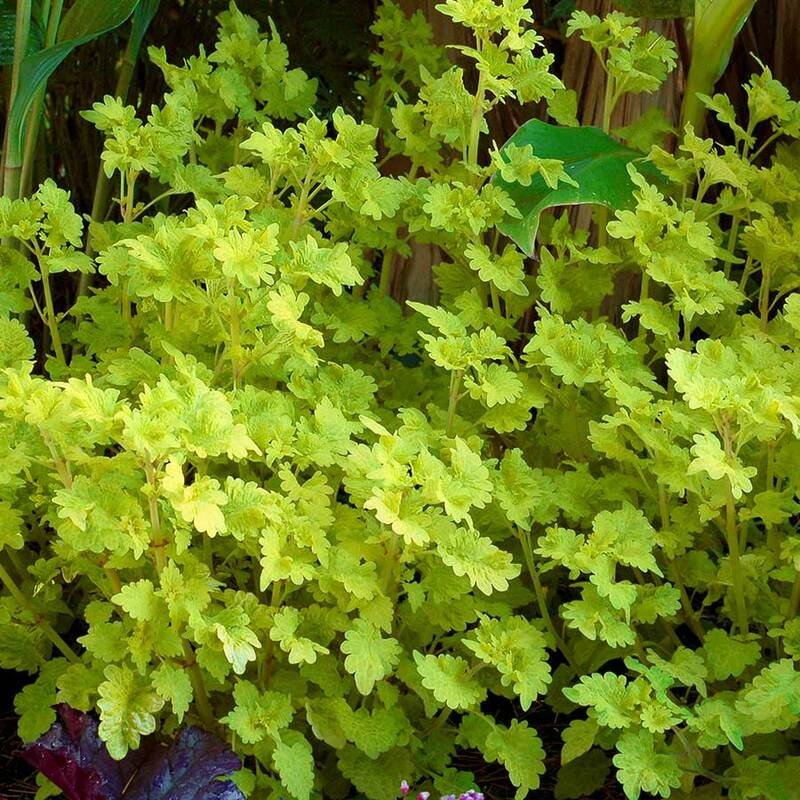 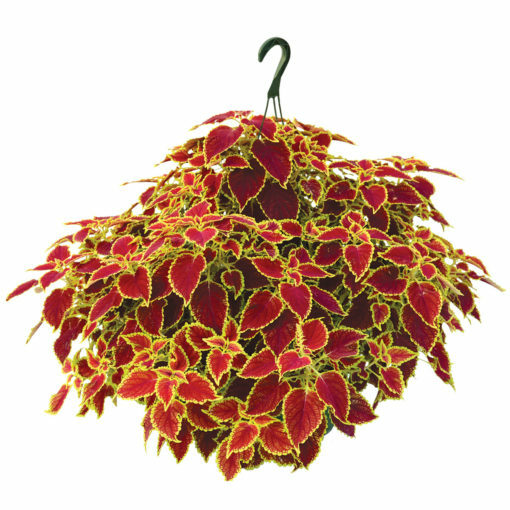 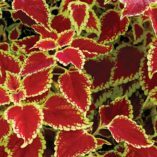 Coleus FLYING CARPET™ ‘Fire Mountain’ | TERRA NOVA® Nurseries, Inc. Deep lime and bright red leaves adorned with a fine limecolored lip. 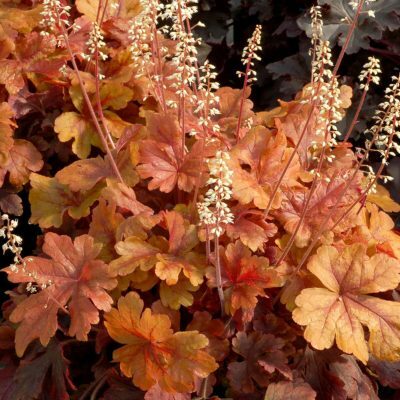 Trailing with a very bushy, dense habit. 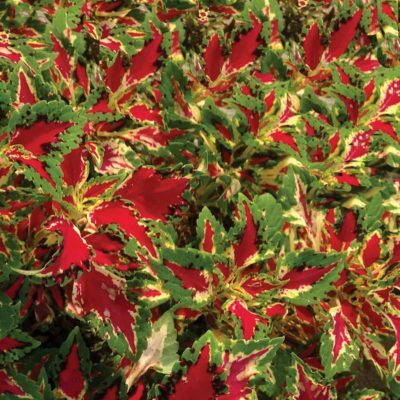 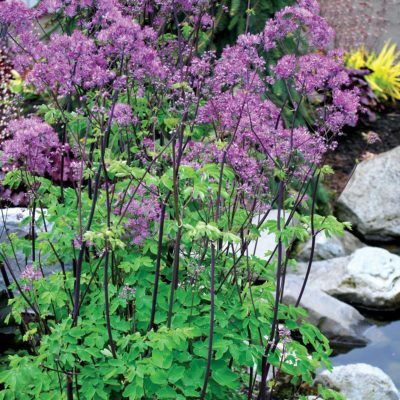 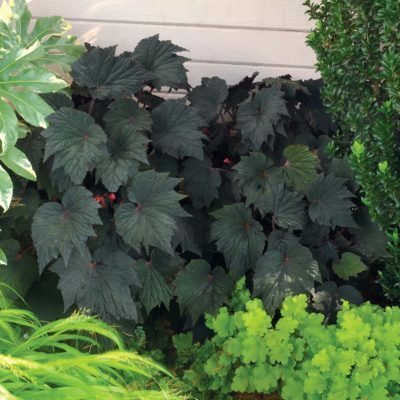 'Fire Mountain' is an excellent choice for mixed containers or bedding. 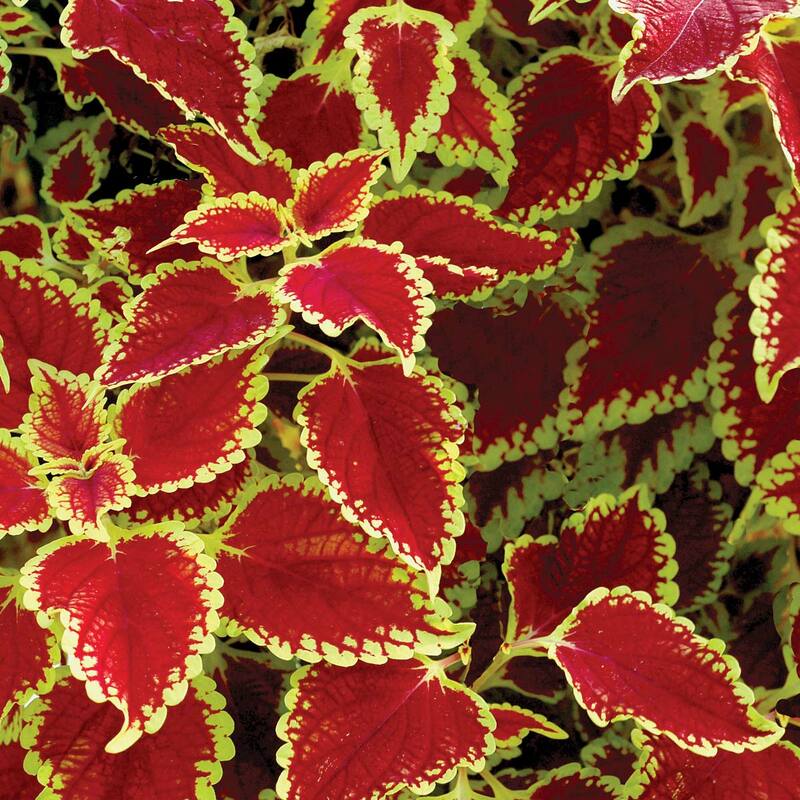 Compared to 'Red Trailing Queen', FLYING CARPET™ 'Fire Mountain' has better branching and deep red leaves edged with lime rather than rose red leaves with a thin lime edge. Hanging baskets, groundcover, house plant.